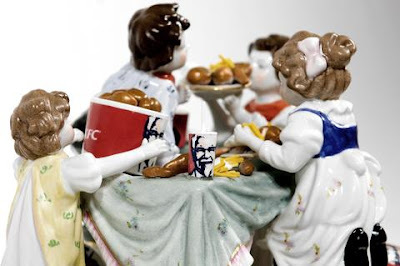 When I think of porcelain, the first thing that pops into my mind are those little porcelain figures that almost all typical housewives put on display in their homes. Definitley nothing typical about these though!!! Barnaby Barford's twist on porcelain sculpture is quite surreal. 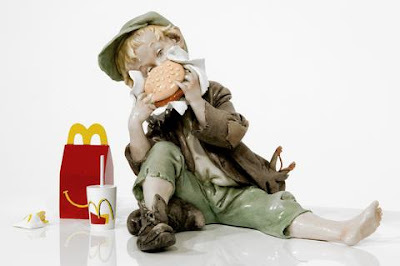 Forget that pretty little girl holding a flower, hell, lets go with a messy family eating KFC or a homeless child enjoying a happy meal!! !